Michael is a content producer and video/podcast expert. He is a co-founder of Unfold Productions, a productions company that uses a structured but flexible approach to deliver impactful, strategic content. Michael is also the producer/co-founder of People Behind the Sciences podcast, a production made to inspire current and future scientists and show the human side of science. His podcast was selected by Apple as one of 51 podcasts to be featured in the "Inspiring Women’s Voices" category. If you're looking for compelling digital video and/or podcasts to take your business's messaging to the next level, Michael will deliver! Unfold Production's approach to creating highly impactful content includes in-depth research, strategic design, collaborative creation, and high-quality delivery. Unfold harnesses the power of storytelling to captivate and motivate audiences and tailors the message to fit each organization's unique identity. 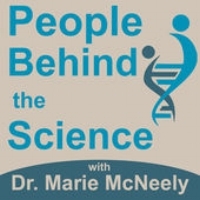 People Behind the Science is a podcast focused on the people doing fascinating research through interviews with top scientists. The team is proud to have interviewed so many inspiring scientists, including U.S. National Academy scientists like Josh Sanes, Nick Spitzer, Lou Muglia, Jacob Israelachvili, Gene Robinson, Larry Squire, John Dowling, James Berger, and David Spergel. Nine Network is a trusted independent news media source in the St. Louis area. Michael advises and informs science content and partnerships for "Science Matters", a show featured on Nine Network. Nine Network believes in making content easily accessible to engage the greatest number of people possible. Their mission is to "ignite the spirit of possibility through public media".